SALEM, Oregon — Since the oil train derailment and fire near Mosier in the Columbia River Gorge in 2016, the Oregon legislature has been looking for ways to make cities along those lines safer. Now, lawmakers are getting closer. When the oil train derailed in the gorge, it was fortunate the winds weren’t blowing or the fire could have caused much more damage. Hood River Mayor Paul Blackburn was part of a workgroup developing new regulations. “It is not good for us to have Oregon have the weakest oil train protections in the west,” Blackburn said. The workgroup also included BNSF Railway’s Tom Barrows whose goal was to get the regulations to follow those in Washington and California. “Washington and California introduced these requirements a few years ago,” Barrows explained. 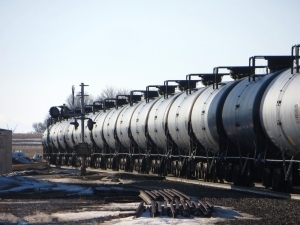 The bill would help communities along lines that carry hazardous materials to develop plans for a derailment. Railroads would have to cover the cost of the damage and it defines what is a high hazard train route.